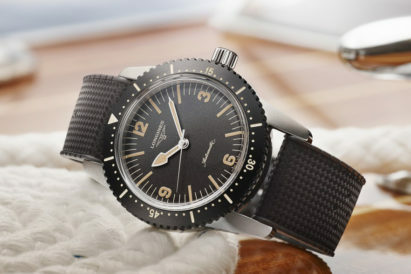 The watch industry is currently having something of a love/hate fling with faux-vintage. 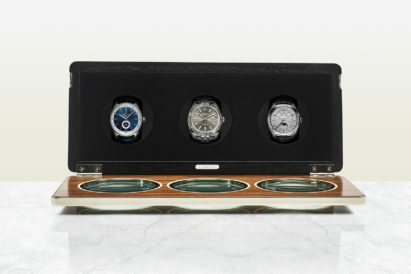 Some timepieces are fully embracing the fad – with burnished brass and considerably-smaller cases being introduced. Others are taking more subtle cues, and adding smaller touches or hints of traditional designs to modern watches. 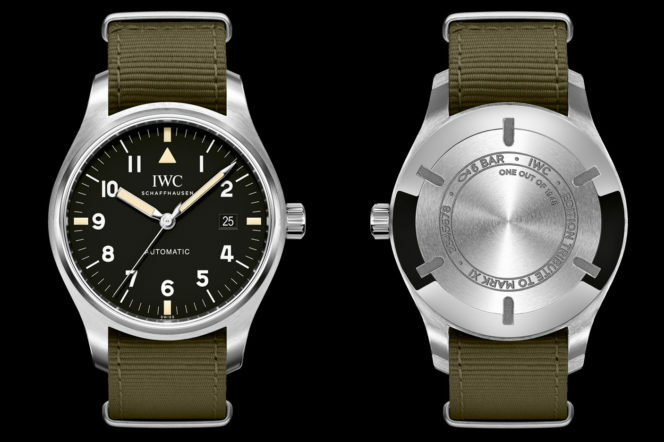 The IWC Pilot’s Watch Tribute to Mark XI is the best of both worlds – with just a one millimetre reduction to the case, a soft cream colour and green textile strap. Taking up the tradition established by the historic Mark 11, this newest IWC features a stainless-steel case and black dial, with a cross marked by the four yellow rectangles at “3”, “6”, “9” and “12 o’clock”. These rectangles, along with the baton hands and the triangle at “12 o’clock”, are coated with luminescent material, which ensures clear legibility at night – a key feature for the first pilots watches IWC created. 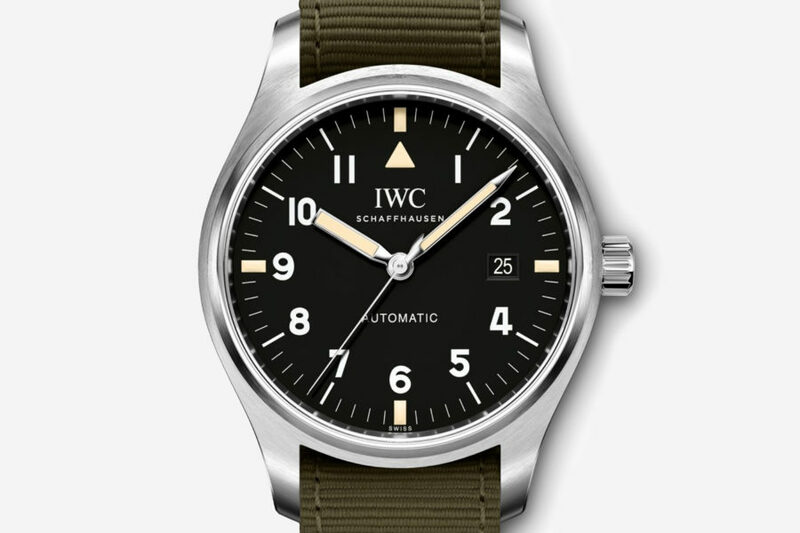 The original Mark 11 was sold with a green nylon strap – also known as a Nato strap – for decades. The new version comes with a green textile strap that pays homage to this original. The hardy watch, which is also water-resistant to 6 bar and has a date window, is powered by an automatic 35111-calibre movement and has a 42-hour power reserve. With its soft-iron inner case for protection against magnetic fields and a front glass secured against displacement by sudden drops in pressure, it takes up the tradition established by its historic forebear. And, paying further tribute to the traditions of IWC, this model is limited to 1,948 watches – a tribute to the year in which the first Mark 11 was sold: 1948.